This site is adjacent to the cycle trail which leads down to Mallards Pike lake. 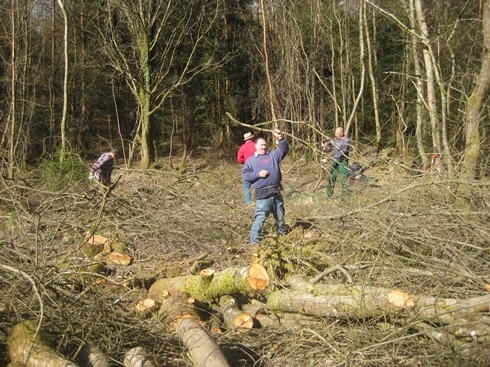 A lot of the trees had been cut by contractors and there was evidence of wild boar activity in the area. 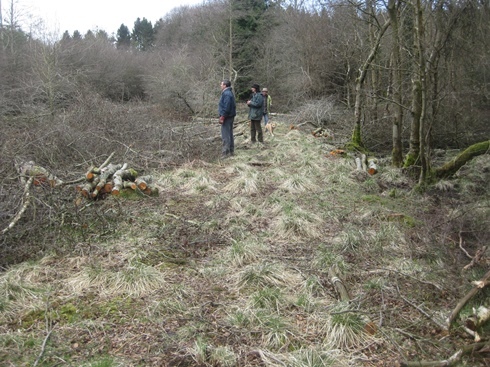 The plan was to build fences from the discarded brush in an effort to deter the boar from churning up the grassy areas which contain the marsh violets so that this would help the butterflies which are in severe decline due to the bad winter and previous wet summer. Without control, there is the potential for boar to have an adverse effect on flora (e.g. the bluebell carpets and marsh violets) and fauna (potentially including European Protected Species such as dormice or the ground nesting birds such as wood warbler which are so important in the Nagshead SSSI). The Forestry Commission have grown some marsh violets in their nursery for us to replace around the forest at a later date. 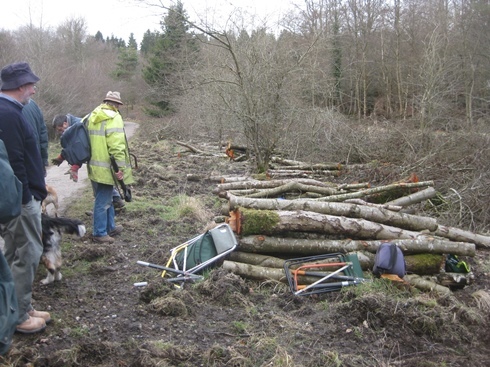 The log piles will be removed by the contractor so it was the brush on the right which we used. This is one of the grassy areas we enclosed with brush fencing. 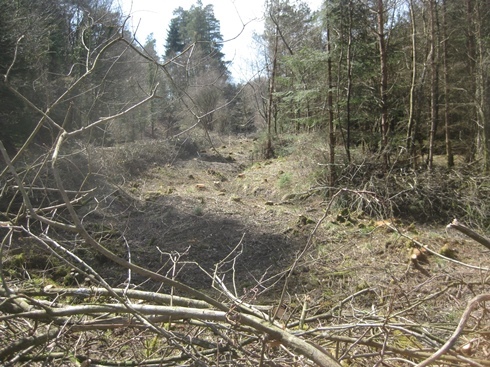 On the left of the image you can see the churned up area where the boar have been. A beautiful day in the sunshine and some of us actually got sunburnt! 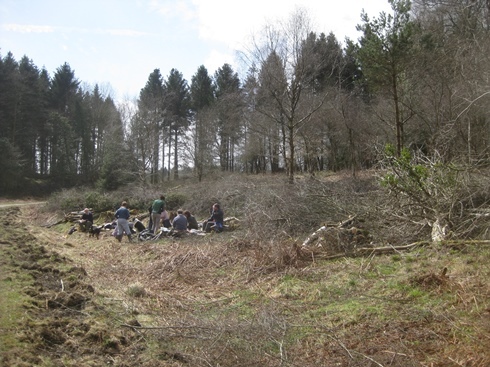 Again, we were building brush fences to deter the wild boar. At the end of the day, we had built a long line of brush fencing and the ground is now cleared and open.